Job description: Are you a determined and friendly professional with an excellent knowledge of accounting and finance with a desire to lead a team and implement new ERP system? If so, you might be a great fit for our company. Husk is a successful startup with room to grow and we are looking for a self-starting Finance Manager to oversee all accounting and financial reporting related processes. The ideal candidate for this position has a positive attitude, a tireless work ethic and an insatiable appetite for growth. Husk is seeking an experienced leader for the role of Finance Manager in Tanzania. This individual will play an integral role in managing accounting and financial reporting processes in Tanzania. The candidate is expected to implement a robust cost accounting process record and analyze daily, weekly and monthly data to spot trends. This position provides the opportunity to join a growing team that is changing the face of rural electrification in many countries in Tanzania and India. The position is based out of Dar es Salaam, Tanzania and will require frequent travel to rural areas in various regions of Tanzania. Extensive travel to rural areas in Tanzania is required (1-2 times a month). • Produce monthly and quarterly reporting of business financial performance. • Maintain a documented system of accounting policies and procedures. • Manage the accounts receivable and accounts payable processes in a manner that enables Husk to achieve a positive working capital process. • Conduct a daily closing of books with the banks and ensure that cash is matched at the end of the day and everyday. • Assist in developing annual budget and link budgets with company quarterly objectives. • Implement an ERP system for Husk Tanzania under the supervision of the Controller. • Run a monthly comparison of actuals vs budget and report to senior management of variations from the budget and the reasons behind those variance. • Monitor debt and ensure full compliance with debt covenants. • Coordinate tax filing and reporting processes at local, state and federal levels. • Work with internal auditors to get financial audit completed in a timely fashion. • Interact with Husk team in India and Mauritius and remain up to date on financial reporting, tax matters, relevant laws and practices. 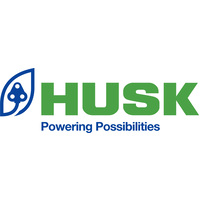 Husk is one of the world’s leading rural utilities. We provide reliable power to households and businesses, entirely from renewable energy sources – 24 hours a day, 7 days a week – at a price they can afford. We design, build, own and operate the lowest cost hybrid power plant and distribution network in India and Africa. We offer our customers a flexible ‘pay-as-you-go’ energy service, using a mobile-enabled smart metering system. We provide low-cost energy that matches the growing needs of our customers; for households, community services and productive uses. Our grid-compatible solution can be rolled out quickly and cost effectively to support national electrification plans. To date, Husk has provided electricity to over 12,000 homes and businesses in rural India and Tanzania, reducing 95,000 tonnes of CO2. Husk is poised to grow rapidly over the next four years and envisions adding over 300 mini-grids in India and Tanzania, deploying 15 MW of 100 percent renewable power plant assets that would eliminate 150,000 tons of CO2 per year (equivalent to eliminating 56 million liters of diesel per year). These mini-grids will serve over 100,000 customers.